IS THERE A SCIENCE BEHIND MARKET RESEARCH? YOU BET THERE IS! Yet it’s surprising how often superficial research and anecdotal data is touted on both digital platforms and traditional print media to make a case for spurious assertions about the foodservice market. 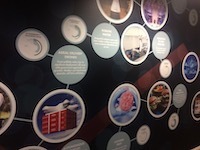 From burger-flipping robots to the applications of Artificial Intelligence and delivery by drone, the advances in synthetic biology and genetic engineering and how they’re likely to impact on the food industry – these were some of the key insights featured in FI Foresight’s latest ‘Future of Foodservice’ Seminar. World renowned futurist Craig Rispin was the keynote speaker at the event, which focused on emerging technologies, trackable trends and the impact of digital disruption to the marketplace, along with robotics, automation and structural changes already impinging upon the foodservice market we know today. 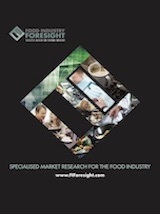 “Developments over the past 12 months alone – since we last hosted a ‘Future in Foodservice’ seminar – have been such that we were able to include a lot of new content on the opportunities that are opening up for the foodservice sector as a result of the changes looming on the horizon,” says FI Foresight Director Rod Fowler. Interactive displays, such as graphic demonstrations of Australia’s food market sizing and information relating to our identified Top Ten Trends, were complemented by four days of free seminars which examined current and emerging trends in more detail and offered expert analysis along with question and answer sessions. If you missed out on attending the Trend Zone at Fine Food 2018, you can access the Seminar Series materials free of charge at the FI Foresight website. 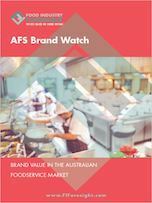 Available now from FI Foresight – the 2018 Dining Out Data Report is a national survey of more than 1,200 foodservice consumers which tracks and analyses changing consumer preferences and eating out habits. Published bi-annually, the Dining Out Data Report provides a plethora of informative data analysed across key demographics including gender, age groups from 14 years up, income level and state by state location. It looks at the types of cuisines preferred by consumers, the average number of courses consumed when dining out, and tracks the evolving influence of dietary considerations. Use of digital media in choosing dining venues and digital platforms/websites of choice have also been surveyed and tracked. 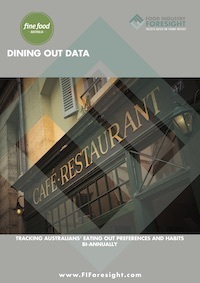 You can order your copy of the Dining Out Data Report from FI Foresight today. Looking to stay abreast of the latest foodmarket insights, analysis and information? Here's a way which is low-cost, informal, friendly and personal. FI Foresight's monthly Foodservice Business Leaders Mentoring Group is open to all interested food industry professionals and is the ideal opportunity to glean valuable information from our latest market research reports while at the same time informally networking and sharing insights with others in your industry. Register now to attend the next session. Visit our website to keep up with our new reports. Subscribe today to ensure you stay right up to date. We offer a range of services from Syndicated and Bespoke Research to Workshops and Free Information Downloads. 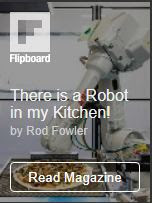 'There's a Robot in My Kitchen' is our free magazine looking at robotics across foodservice and related areas. Copyright © 2018 Food Industry Foresight | You are receiving this newsletter because you are a current or past subscriber to our market research services.